First, tap the Assessments button. Next, tap the Search My Assessments field; the on-screen keyboard will appear. Begin typing your search parameters. 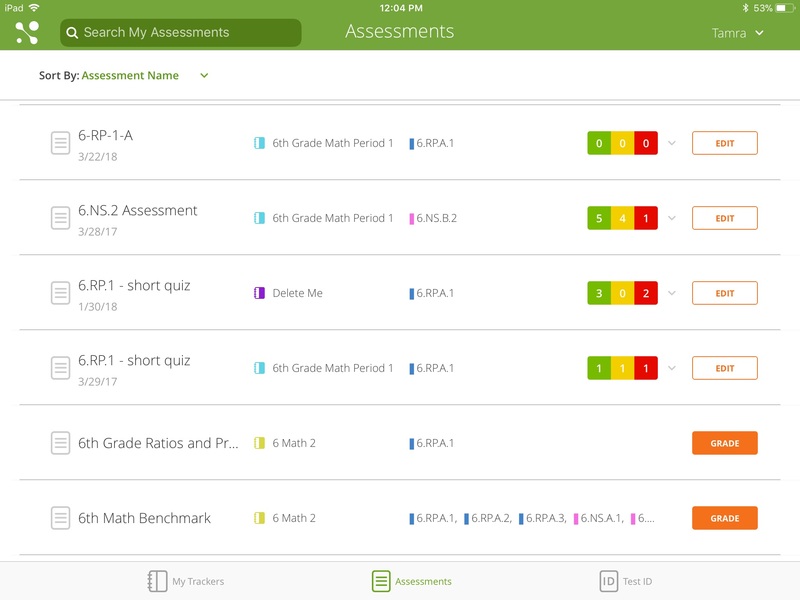 You can also sort assessments by tracker, standard, or assessed and unassessed. To do this, tap Sort By... and select your sort options. Note: You can filter searches by combining the Assessments smart search and Sort By options. Click the X (“ ”) at any time to clear the search field.